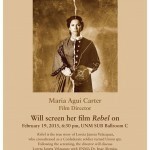 REBEL Women’s History Month tour! 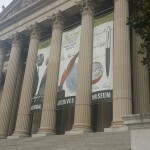 REBEL has been chosen for a six city tour by the Mid-Atlantic Arts Foundation, bringing new, American, independent films and their creators to communities across the mid-Atlantic region. A public screening, and a question-and-answer session with the filmmaker will kick off at Carnegie Hall in W VA and continue through MD, NJ, PA, DE and NY. 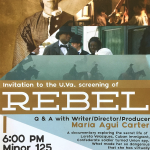 REBEL, is the true story of Loreta Velazquez, Confederate soldier turned Union Spy. 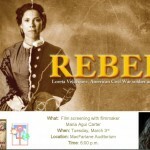 Written and directed by María Agui Carter, REBEL brings to life the untold story of Loreta Velazquez, who fought in the Civil War disguised as a Confederate soldier and then spied for the Union. 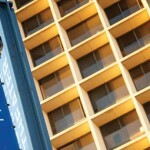 6:30p reception, 7p screening followed by Q&A. Tuesday, March 15, 7pm Tilles Center for the Performing Arts Long Island University, NY.